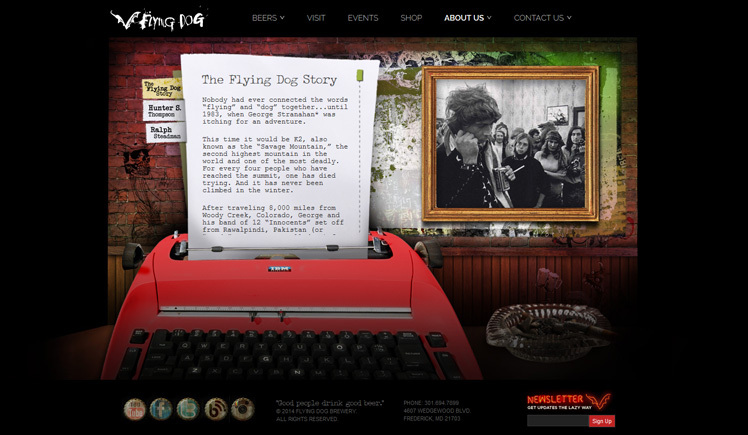 Flying Dog’s old website didn’t quite capture their brand on the web, and the redesign needed to be a little edgier and modern. 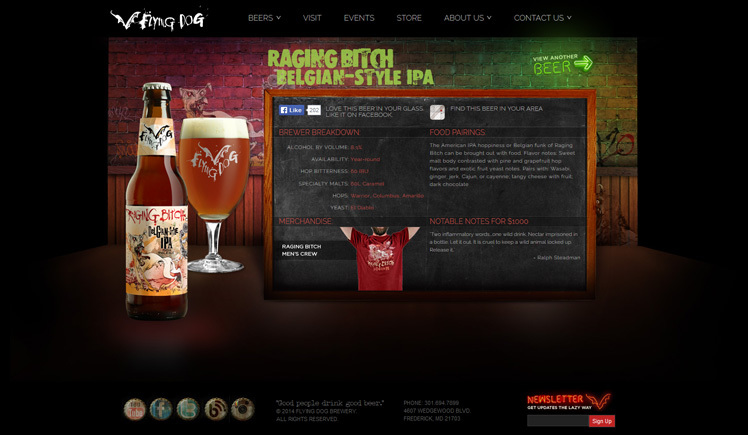 The new design takes full advantage of Ralph Steadman’s beer label art, which was both a joy and an honor to work with. 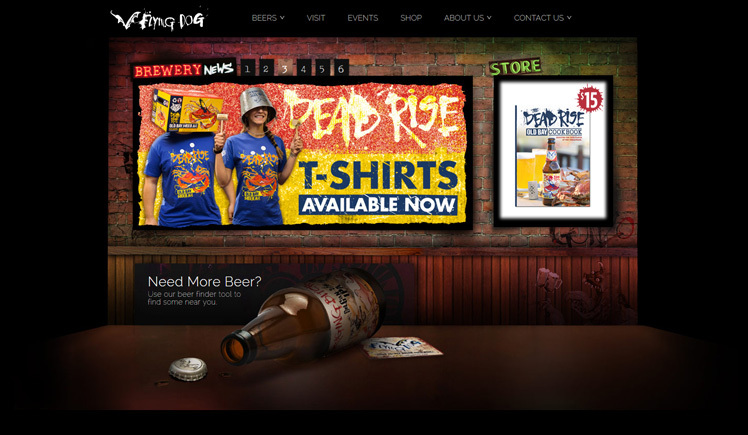 For development, we went with the WordPress platform and used a lot of jQuery plugins. 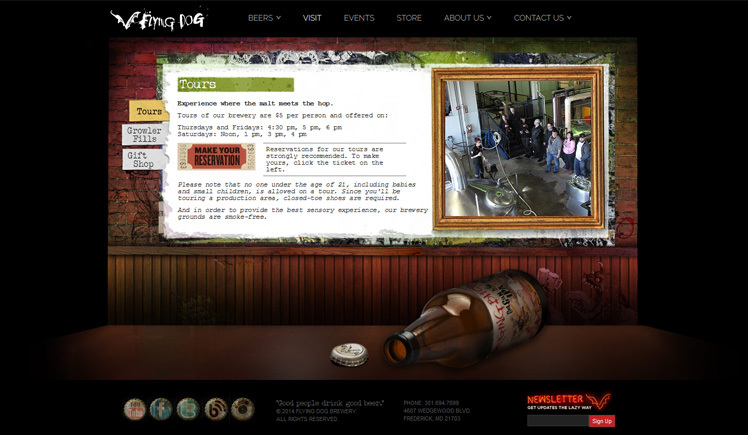 The CSS coding was a fun challenge also.